Are you wondering if travelling to Mykonos in autumn is a good idea? The answer is pretty simple: Yes, by all means! Forget about low temperatures, heavy rainfalls and having to stay inside day after day. 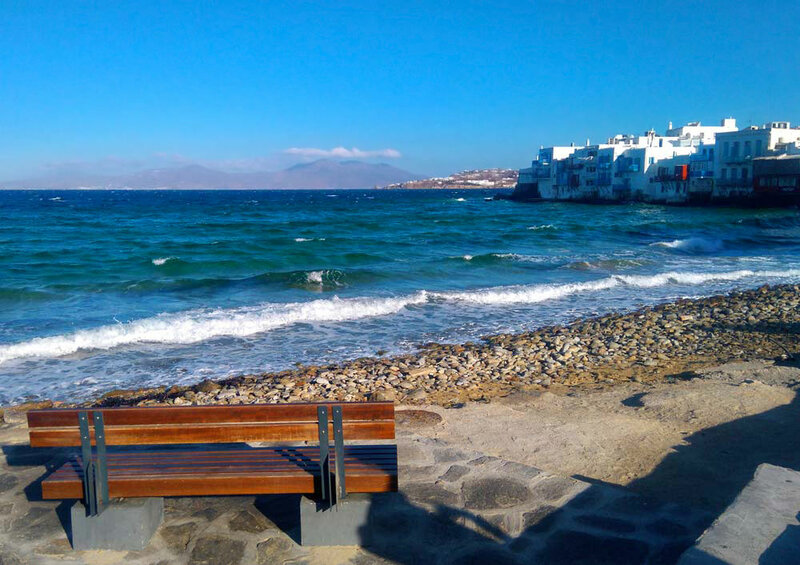 The divinity that created Mykonos and the surrounding islands took special provision for the weather to be mild and friendly almost all year round; just like the people who live there, always keeping open arms to welcome visitors from far away! The weather might get a bit rough, usually after November, but roughness never lasts long in the Aegean archipelago to forbid sunbathing in December. Most nightclubs may be closed but one can always find a cozy place with great music to dance the night away. You won’t miss the celebs! Maybe top models and jet-setters are gone to warmer locations but you might very well find yourself enjoying a coffee or drink next to a world-famous writer or director. After all, Mykonos is an all year round inspiration source! Ferry connections to the ports of Athens are daily and the same applies to internal flights. It goes without saying though that the options are a lot fewer than in the summer. There are many interesting sites to visit like monasteries, museums etc. Without a large crowd around one can appreciate more deeply their beauty. Most archaeological sites stay open through winter time, including the Apollo temple on the neighboring island of Delos. Nevertheless, you have to confirm hours, itineraries etc. If you miss the fuss just wait for the weekends when Mykonos starts rocking again as many Athenians choose the island for a short yet spectacular escape. You can find yourself enjoying mouth-watering local specialties in beautiful small restaurants that remain open during the winter.